When a young girl comes to ace detective Sam Spade for help, he has no idea what he’s about to get himself into. The girl, giving the name of Miss Wonderly, asks Sam and his partner, Miles Archer, to trail a man named Floyd Thursby, who has run off with Miss Wonderly’s younger sister. The money is good and so Spade and Archer take the case. Later that night, a phone call wakes Sam up. Miles Archer is dead—he’s been shot. The police, meanwhile, seem to consider Sam their number one suspect, and Sam refuses to give to give the police more information than is absolutely necessary. He admits Miles was on a case, for instance, but he refuses to name the client. But since there’s no evidence against Sam, the police reluctantly let him walk free. Before long, Sam is embroiled in a complex mystery. Finding out that his client is really named Brigid O’Shaughnessy, that she never had a sister, and that several people are in town, hunting for a mysterious black bird. And they are willing to kill each other over it. 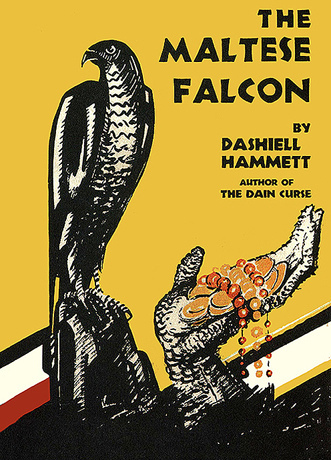 It’s the plot of Dashiell Hammett’s The Maltese Falcon, one of the all-time greatest classics in detective fiction and one of the books that gave rise to the hardboiled detective story. 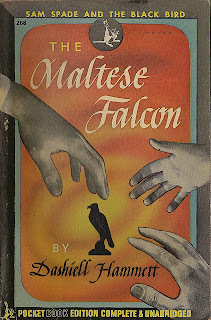 This was my second time reading The Maltese Falcon, and I have always had nothing but admiration for it. 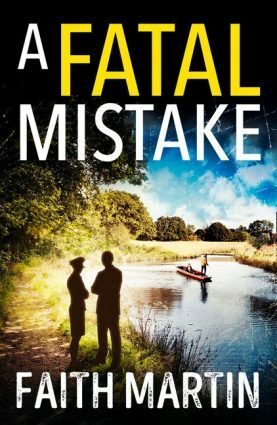 This is one of those books where it doesn’t matter whether you know whodunit or not. You can enjoy this book purely for the writing, which is just brilliant. It’s difficult to describe great writing—what is it that sets it apart from the decent writing or just plain ol’ “good” writing? The best I can do is to shrug my shoulders and just say that the book contains this extra spark, a sort of energy that conveys itself through the writing. And you won’t find this spark in many other places. Every single word flows from the previous to the next smoothly—it’s all brilliantly crafted. Which is good, because odds are you will solve the mystery. It’s almost laughably obvious. But so many books, movies, etc. have copied the ending of this book that maybe I’m being harsh. Maybe Hammett was really onto something brilliantly unexpected back in the day. But with all the film noir and hardboiled detective stories that have been inspired by this book (directly or indirectly) we have seen this twist many times before. But like I said, this is a rare book where it does not matter if you solve the mystery or not, or whether you find it obvious. And obvious solution or not, the ending that the solution gives rise to is absolutely brilliant. It’s odd how fascinating these characters are, because although you see their actions, you never really get to hear their intimate thoughts. This works to the book’s advantage. 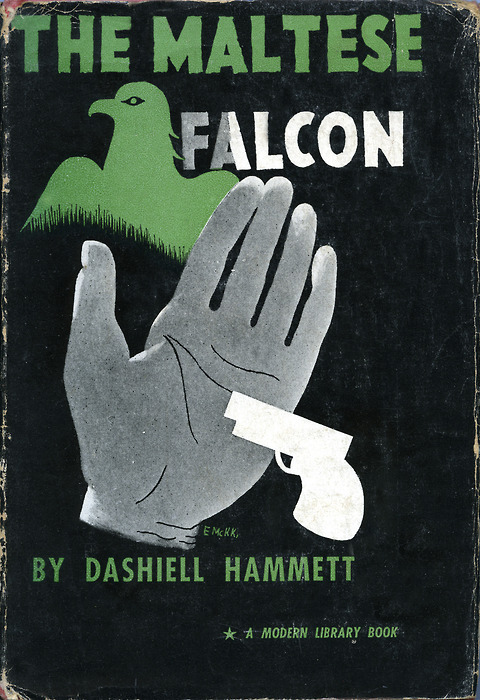 Sam Spade is a private eye whose moral code is far less clear than, say, Phillip Marlowe’s. Spade seems willing to corrupt himself if the reward is high enough! Before his partner Miles Archer is killed, Spade is having an affair with Archer’s wife. Spade will cheerfully knock your block off if you give him reason to. When he shares a scene with the police, practically every sentence seems to convey a second layer of hidden, altogether menacing meaning. All this is, for lack of a better word, fascinating. All this is achieved without sacrificing the book’s readability. 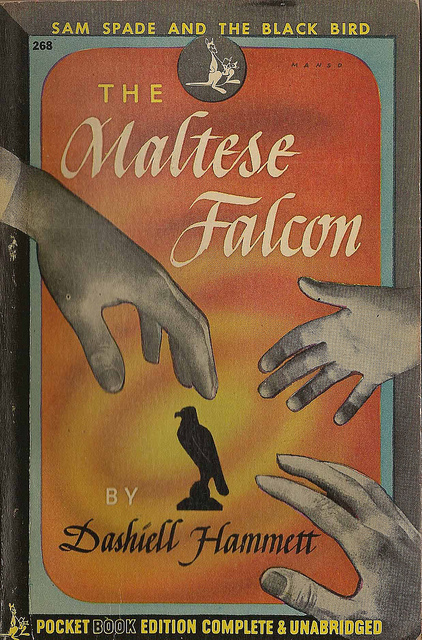 It is a story straight out of the pulps— I could almost hear selections from the score of Raiders of the Lost Ark when a character named Gutman recounts the history of the titular Maltese falcon. It sent shivers of excitement down my spine, and each plot development is a fascinating one that sends you spinning in a completely different direction. This is a helluva read. 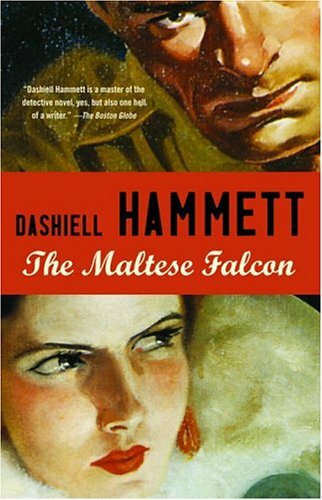 That’s a key mistake people make about The Maltese Falcon. People assume, often on the strength of Chandler’s The Simple Art of Murder, that Dashiell Hammett and Raymond Chandler rebelled against the unrealistic stuff written by English women and wrote gritty stories where the order of the day was realism. This is nonsense. The Maltese Falcon is no more realistic a story than the most preposterous Agatha Christie. It is first and foremost a rollicking good story. It is simply told in a completely different style from the typical puzzle-plot mystery. The streets are mean, but they are littered with colourful characters nonetheless. And all this is written with the hand of an absolute master. Basically, what I’m trying to say is this: if you’ve never read The Maltese Falcon, you’re really missing out. This is a classic for a very good reason. It’s well worth acquainting yourself with it. Patrick, you avoided one big question. Which of the two film versions do you prefer? But there are *three* film versions! When I read this story for the first time, I both liked and resented it. It was a good story, plain and simple, but I was unable to spot the hard-hitting realism that was supposed to be the books biggest selling point. The stuff happening in this novel may be a bit more grittier than your average whodunit, but letting a bunch of colorful gangsters loose in a city to hunt for a lost treasure is not exactly slapping the reader in the face with the facts of life. I'd have to rewatch the films! I don't like to say on the basis of memory alone, and anyhow, this was a book review, so I feel justified in sidestepping the question. I tend to agree. As I said, despite any claims of the authors (most famously Chandler's essay), this is no more realistic than the most preposterous Agatha Christie. But it's still a really, really good story.